Raven's Tot Just Dance ( Britney) - Swedish Winner, Swedish Champion, CACIB, BOS! 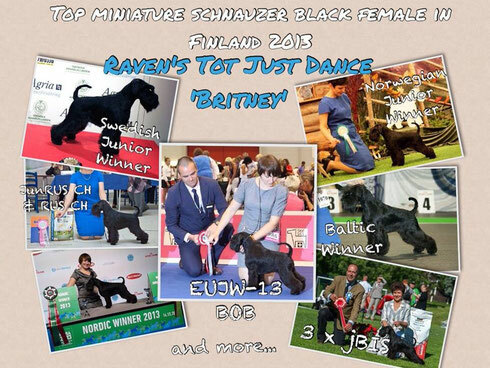 Raven's Tot Knock-Out - Junior Finish Winner, Finnish Winner, CAC and BOS! 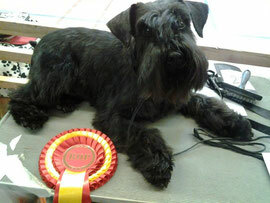 Raven's Tot Just Dance was a little bit tired after yesterday's success and slept in a ring, as result - 2nd in a class. 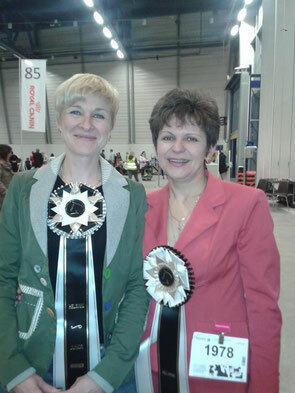 Nordic Winner Show. Judge Petter Fodstad. 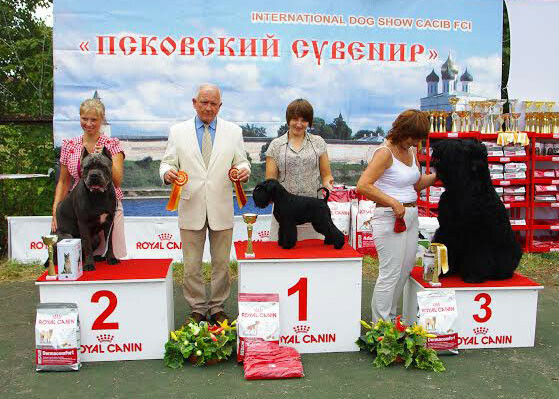 Again I am happy with my dogs work in the ring. Our results are pretty the same as on Friday. 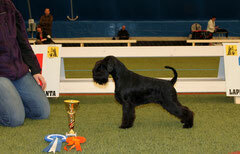 Raven's Tot Knock-Out ( Köpi) 2nd in Junior Class and 4th in Best Male competition with res.CAC. Raven's Tot Jive Me Crazy - champion class winner and 3rd best male with CACIB. 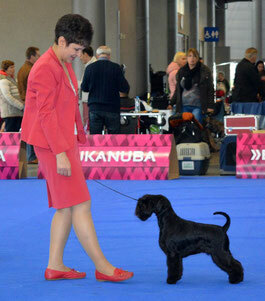 Raven's Tot Keen Sensation (Sandra) - 2nd in Junior Class. 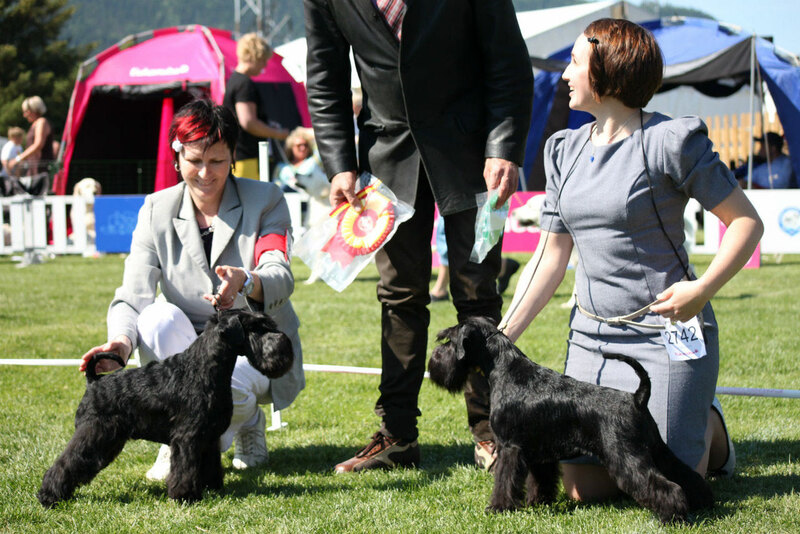 Norwegian Winner Show, judge Göran Åkesson. 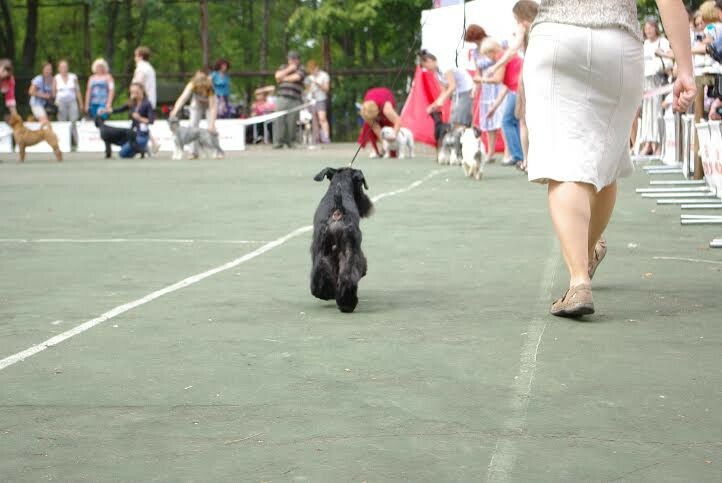 This day for us was day of 2nd places. 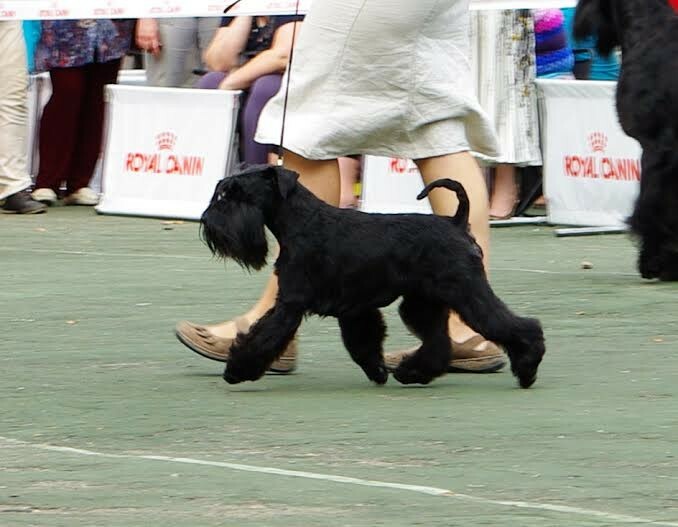 I am really happy with our junior boy Raven's Tot Knock-Out (Köpi) who on his first official show ever was 2nd in Junior Class and 4th Best Male with res.CAC. It was GREAT pleasure to show this wild horse, who went in the ring as like he always did it. 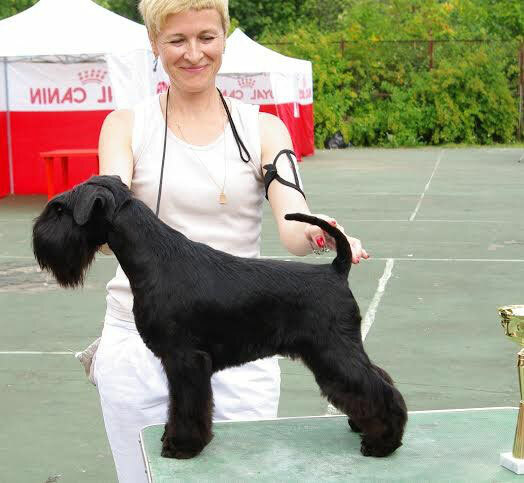 Our sweet girl Sandra (Raven's Tot Keen Sensation) also performed perfectly, wagging tale she was 2nd in Junior Class and 3rd Best Female with res.CAC. 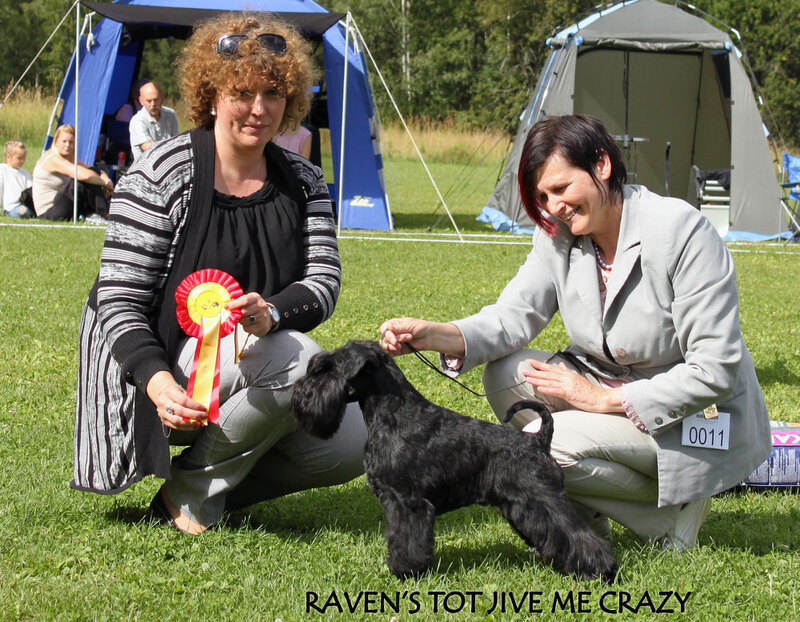 Also Ravi - Raven's Tot Jive Me Crazy - showed with a lot of positive energy, won Champion Class and was 2nd Best Male with CACIB. 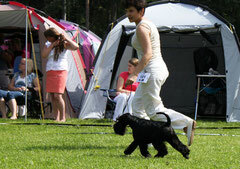 Two International Dog Shows in Tartoo, Estonia. 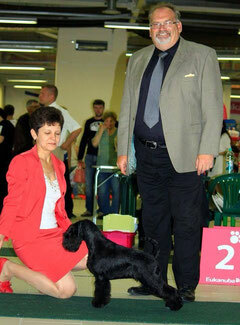 First day - judge Kimmo Mustonen, Finland. 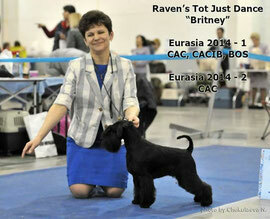 Raven's Tot Just Dance ( Britney) was BOS with CAC and CACIB. 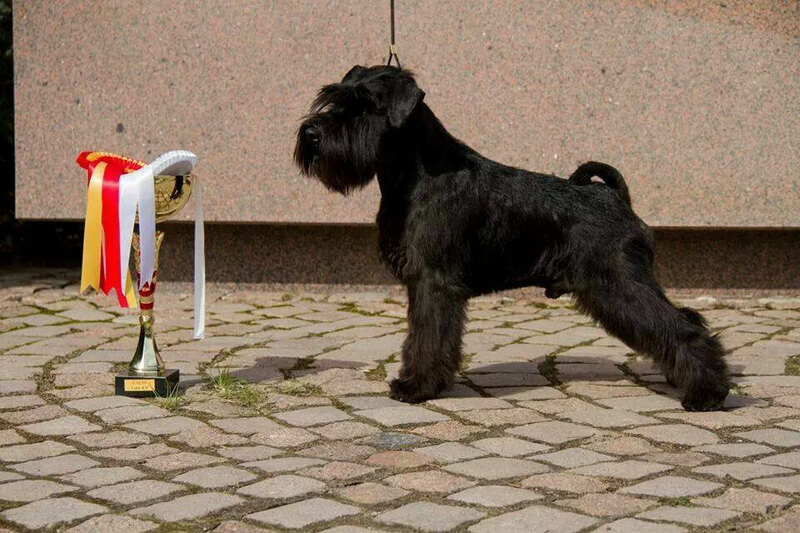 Now she is Estonian Champion. Sandra was 2nd in Junior Class. Britney was BOB, BIG and BIS4!!! This day only one our girl - Britney (Raven's Tot Just Dance) was shown on this show. 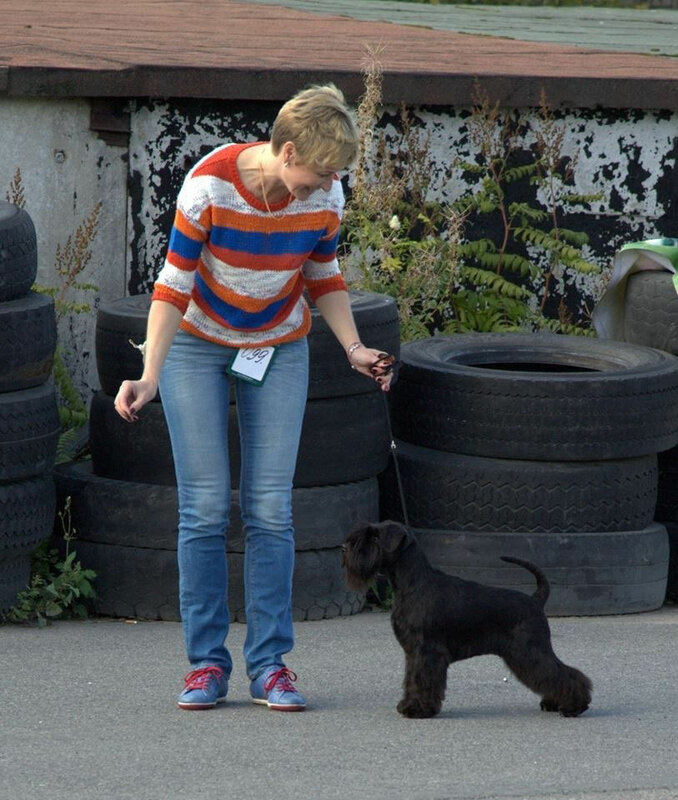 Judge - Jabłońska Jolanta, Poland. 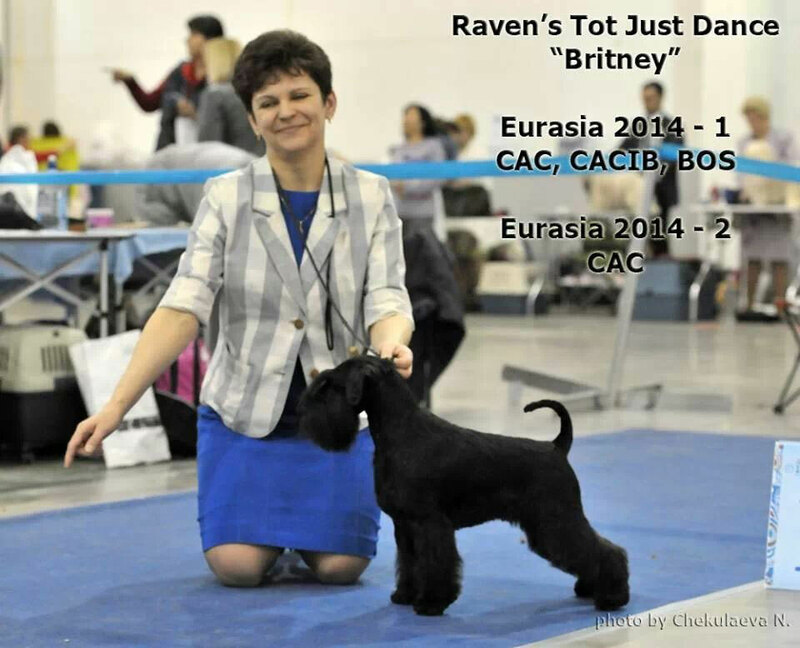 Britney got CAC and was BOS. 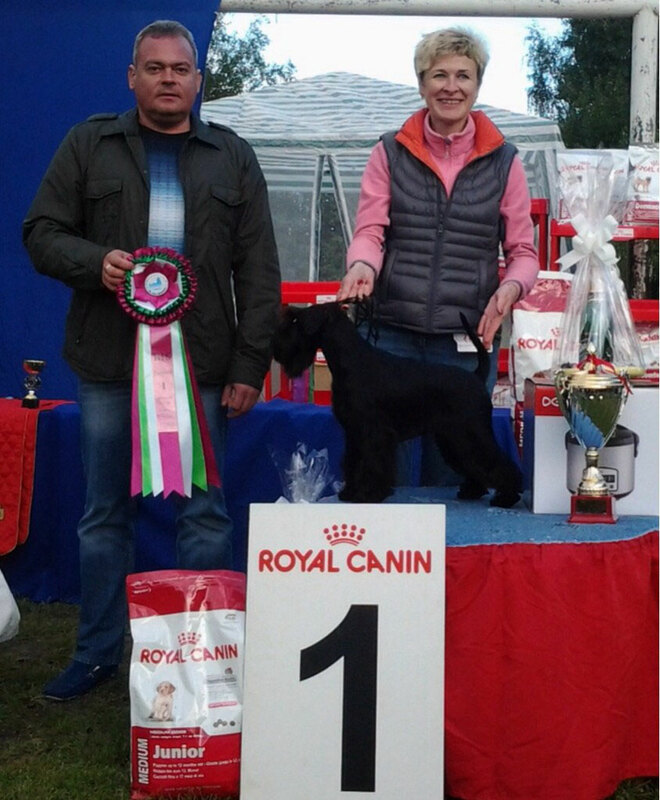 After this result Britney is Czech Champion and National Winner. We spent wonderful weekend in Norway. In addition to good company and meeting friends we showed two boys on two shows. 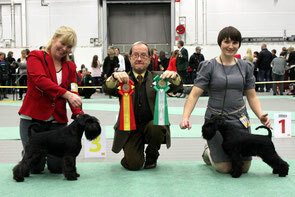 On Saturday - Norwegian Schnauzer Bovier club specialty show. 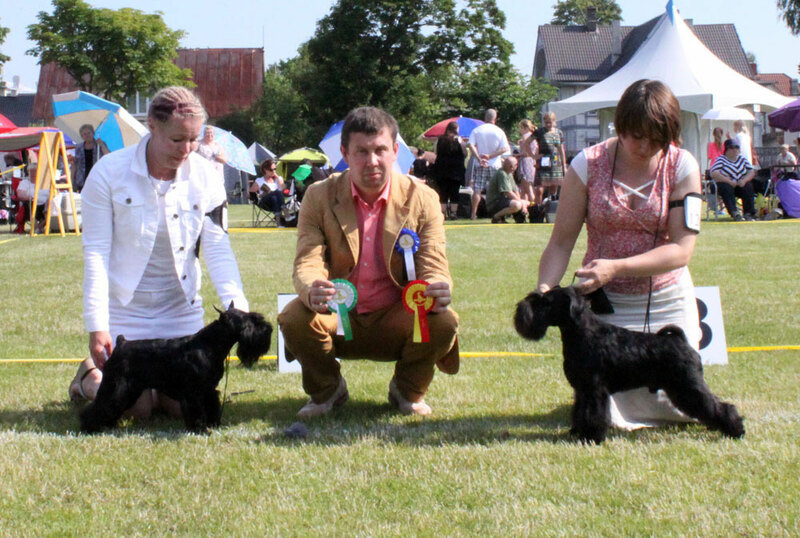 Judge - Cindy Kerssemeijer, Holland. 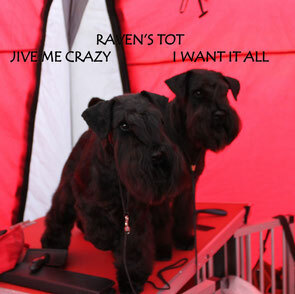 Raven's Tot I Want It All (Robin) - exc. 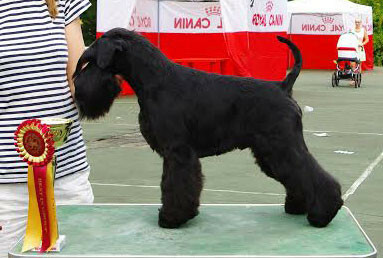 and 2nd in Champion Class. 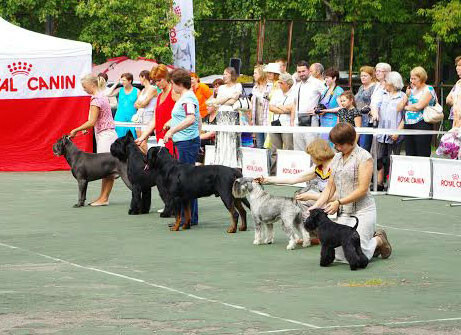 On Sunday was International Dog Show. 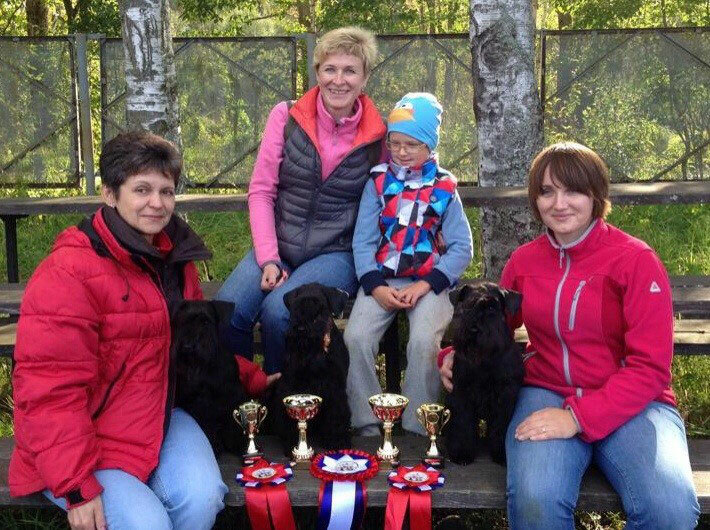 Judge Kirsi Kentala, Finland. 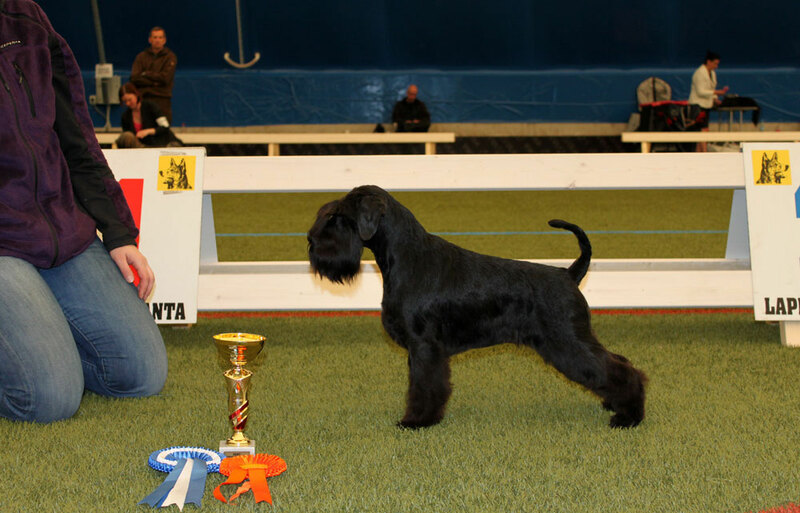 Raven's Tot I Want It All (Robin) got exc, and was 2nd Best Male, getting CAC -> Robin is Norwegian Champion! 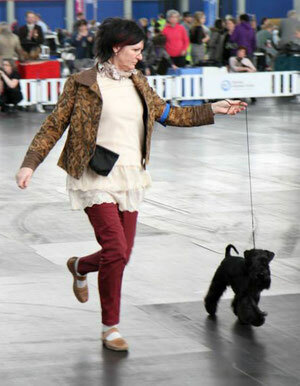 So long waited World Dog Show is over. 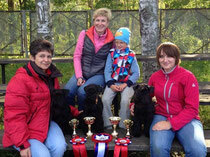 We took part in this show with 5 dogs. 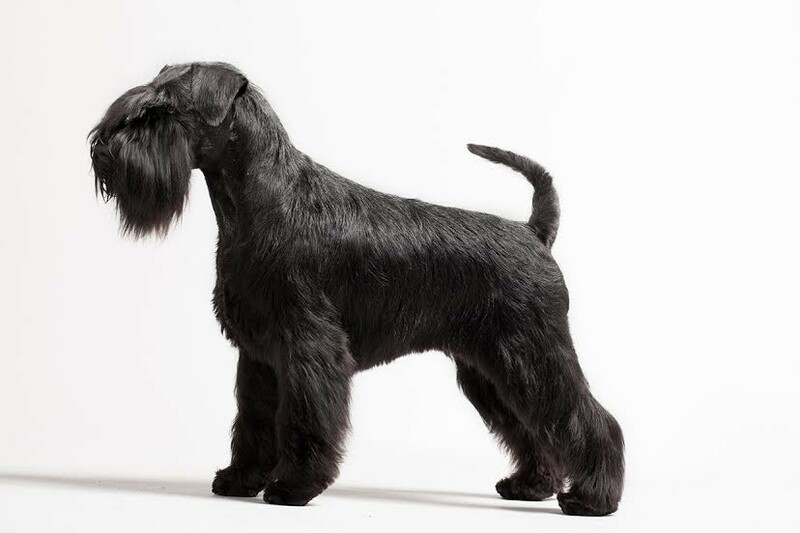 Males were judged by Jorge Nallem, Uruguay. 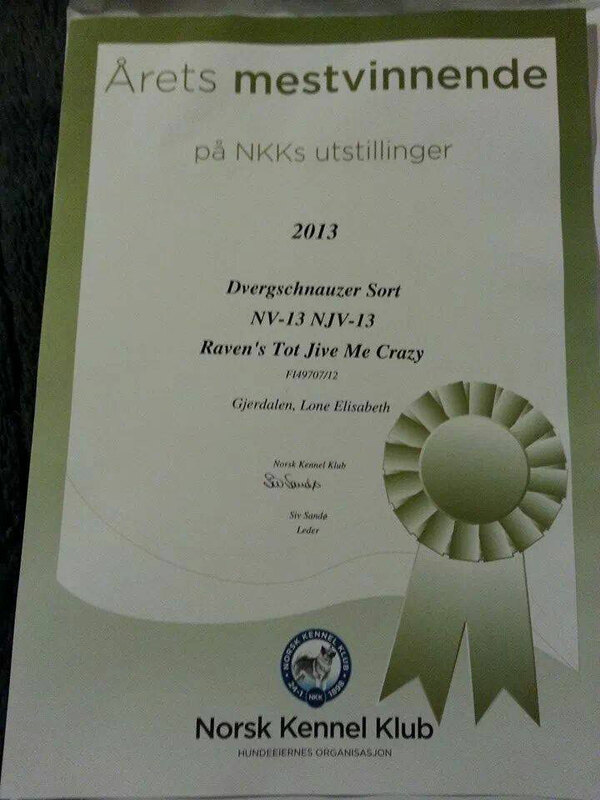 Raven's Tot Jive Me Crazy (Ravi) got "very good". Females were judged by Leif-Herman Wilberg, Norway. 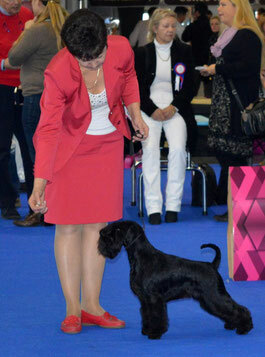 Raven's Tot Listen To You Heart (Liisi) and Raven's Tot Keen Sensation (Sandra) got excellent in Junior class. Raven's Tot Just Dance (Britney) won open class! 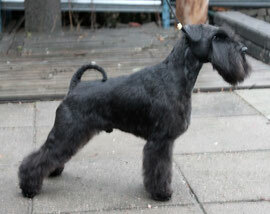 Raven's Tot Improved With Silver (Jofiel) got "very good" under judge Hans V D Berg, the Netherlands. 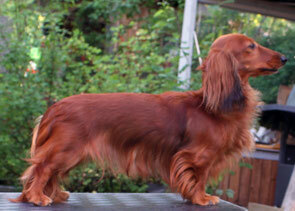 Also we showed our rabbit long-haired dachshund - Daks-Veg-As Zeta Jones, she got excellent and was 3rd in Open Class. We are back home after sunny and hot weekend in Pärnu. Wonderful trip in great company! 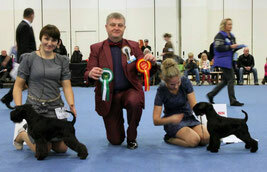 Judge on Saturday: Svante Frisk (Sweden), on Sunday Marko Lepasaar (Estonia). 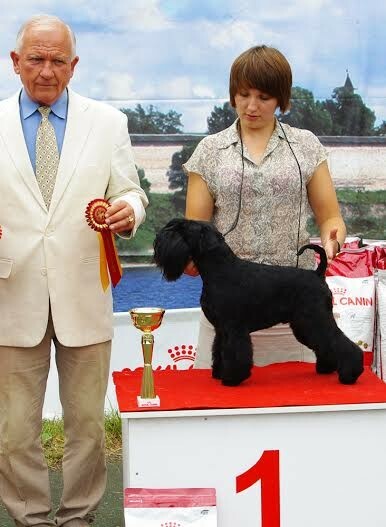 Raven's Tot I Want It All (Raven's Tot Fill The Bill x Raven's Tot Eye Candy) - CAC, 2 x CACIB, 2 x BOB, Estonian and International Champion. Raven's Tot Just Dance was 2nd Best Female with res.CACIB on Saturday and 3rd Best Female on Sunday. Judge Howard Ogden (Great Britan). Raven's Tot Just Dance got one more CACIB and was BOS. 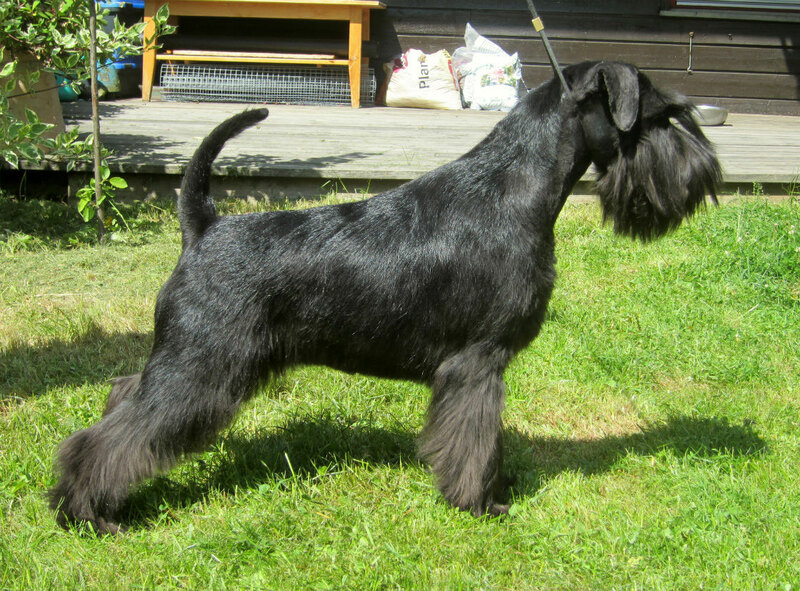 Main specialty for miniature schnauzers in Tampere. We had two girls with us. 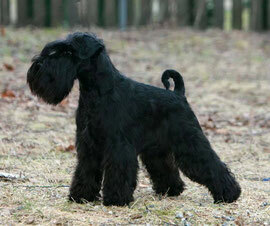 Puppy - Raven's Tot Listen To Your Heart was BOS puppy. 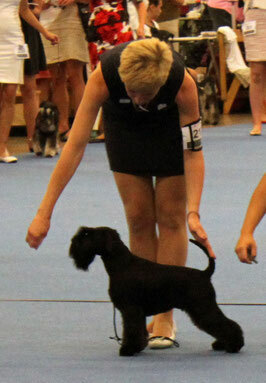 Raven's Tot Just Dance won Open Class and was 2nd best female, getting CAC. 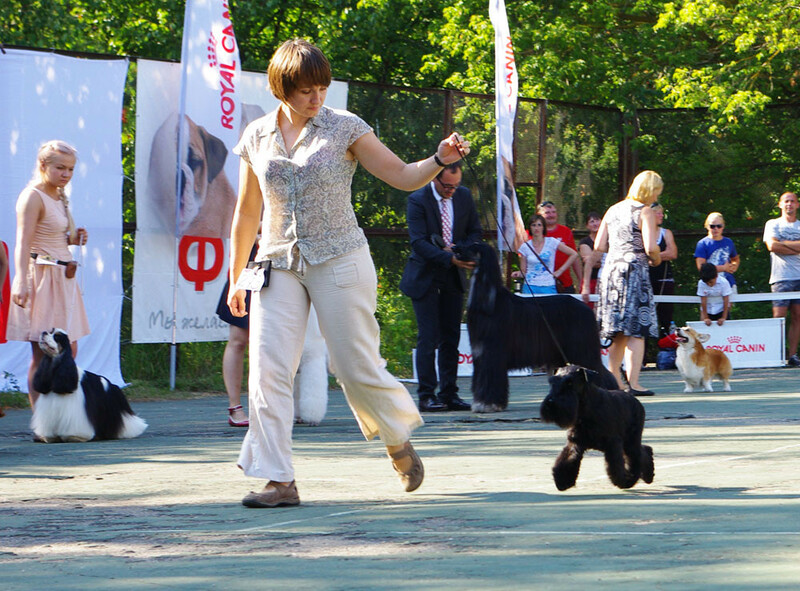 Today in Kankanpää show for group 2 Robin (Raven's Tot I Want It All) was BOB and shortlisted in a group. His cousine - Nouzers Mysterios Black was BOS. 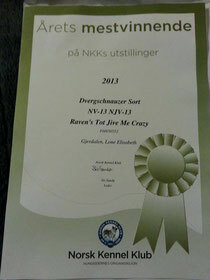 Great news from Norway: on International show in Bergen Raven's Tot Jive Me Crazy was BOB, CAC, CACIB and shortlisted in a group!